Nowadays, prom had become a huge deal for teenagers, it is one of the biggest nights for them where they can dress up and have fun with their dates or friends. But finding a date for this special night can be quite hard and intimidating for some, not to mention embarrassing with the possibility if no one agrees to go with them to this special event. 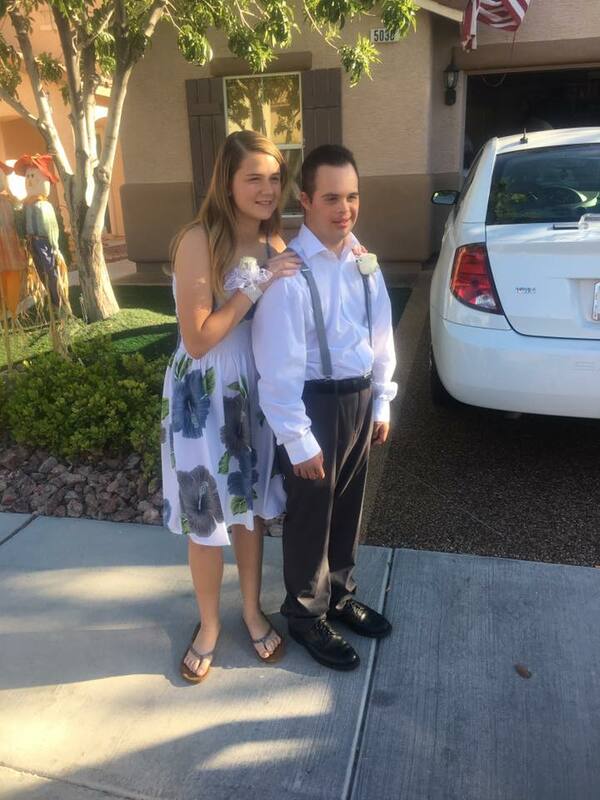 Kylie Fronius, a sophomore from Shadow Ridge High School in Las Vegas, Nevada has never thought that she would end up with such blessings when she asked a fellow classmate with Down Syndrome to dance with her at the prom. 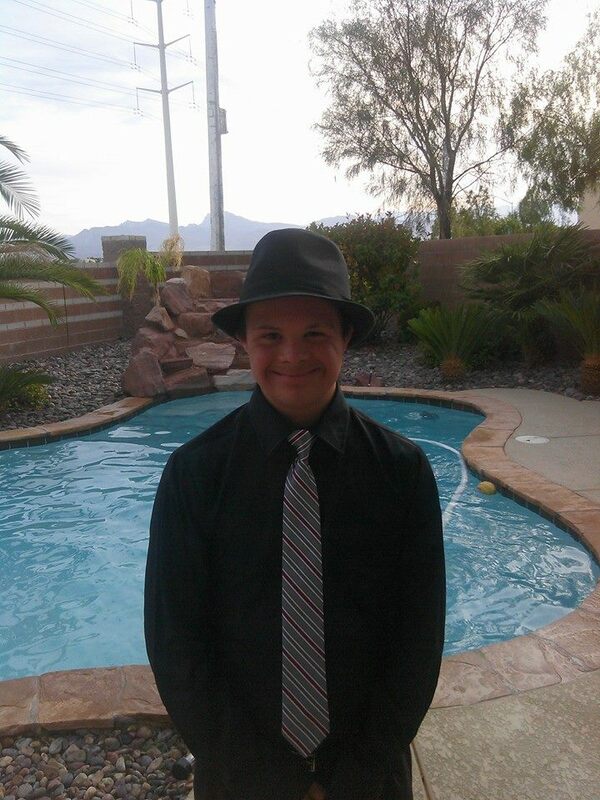 It started off when 17-year-old Daniel Rivas, a student from Shadow Ridge High School who was born with Down’s syndrome was looking for a date to their school prom. Unfortunately, the young boy could not land a date, when Kylie found out that Daniel was turned down by two girls he asked to be his date, she made Daniel’s day by asking him to be her date. 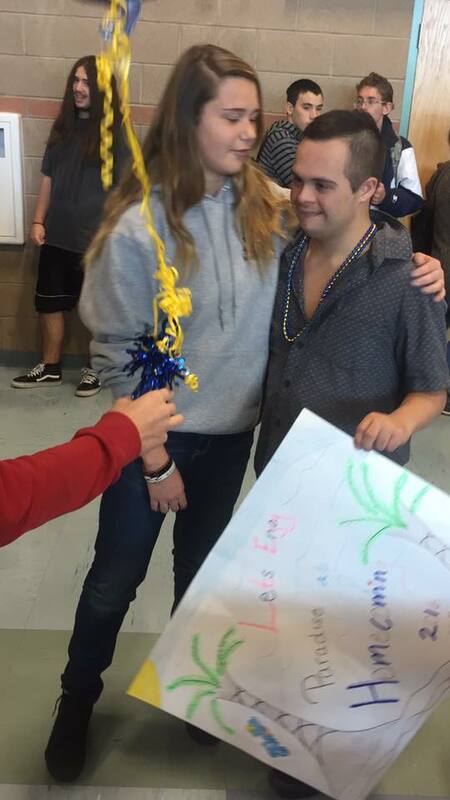 For Kylie, Daniel was as normal as other students and she was happy to dance with her new friend at the prom. Daniel’s mother, Tonya was also touched when she discovered about Kylie’s act. 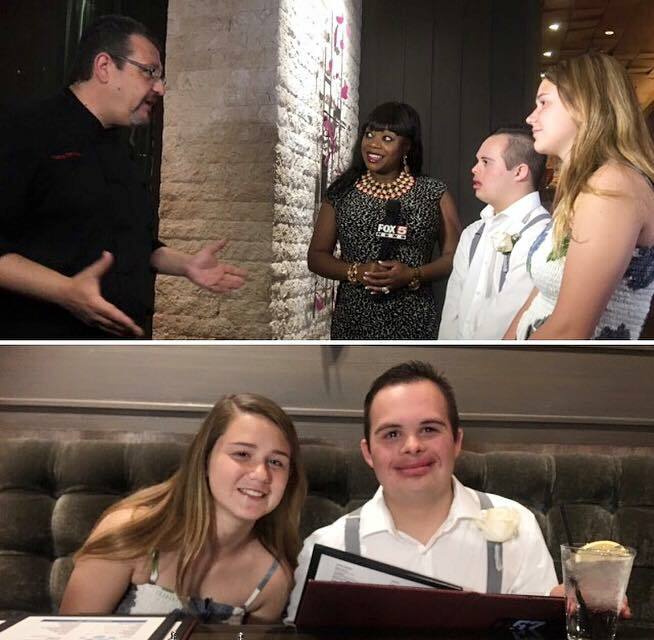 The teens’ sweet story and “promposal” video immediately went viral and caught the attention of Fox5 Surprise Squad. The FOX5 Surprise Squad, sponsored by United Nissan and America First Credit Union, began surprising viewers across the Las Vegas Valley on Dec. 16, 2013. The Surprise Squad makes their way around town helping make the day a little brighter for some lucky FOX5 viewers. The Surprise Squad prepared wonderful surprises for Daniel and Kylie to help make their date extra special and unforgettable. The first was a chauffeured Rolls Royce to send the pair to the prom. They also got to dine in a high-end restaurant, at Bistro 57 while en route to the prom with Daniel’s mother. But that’s not all after the prom ended, Fox5 Surprise Squad revealed another gift for the pair, a trip to Disneyland for both Kylie’s and Daniel’s family. On top of all the surprises, Daniel received $10,000 in scholarship to further his studies in college, while Kylie received a brand new Nissan Sentra! 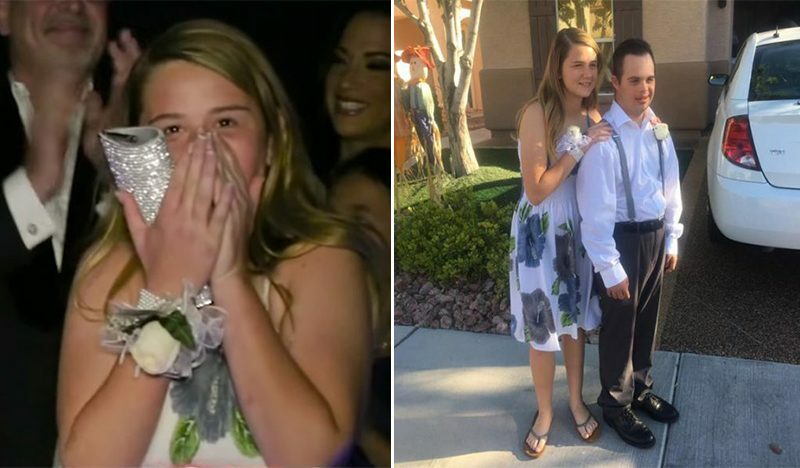 Kylie proves that a simple act of kindness can do a lot, especially to Daniel who is sure to cherish this night filled with incredible memories for the rest of his life.